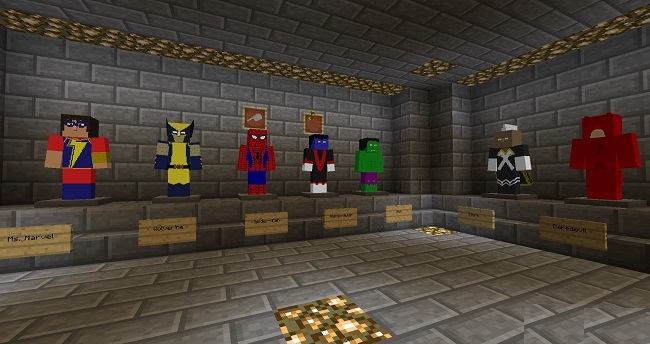 SuperHuman (Super Suits) Mod adds armor sets for different superheroes. Each character has unique abilities which are admittedly quite fun to play with. None of the suits or items are craftable. Instead, as you kill mobs, they will drop points that are collected similar to experience. In the future, these points will be used to “purchase” costumes. In addition to points, mobs will also drop Blind Bags. When right-clicked, the bag is opened and a random armor piece is dropped. This is inspired by collectible card games where early on you will get mostly unique pieces but the more you get the harder it is to find the pieces you actually need. This is intended to promote trading with friends as is the case with CCGs. Additionally, there will be a block (it’s in right now but it isn’t craftable) that can consume your extra armor pieces and turn them into points. 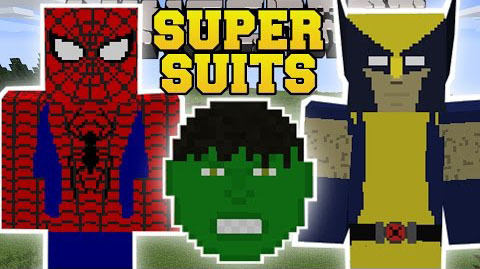 Download the SuperHuman (Super Suits) Mod.